Like all Unitarian Universalist congregations, WSUU is self-governed: it calls it own minister and elects its own leadership. Our congregation is a separate, legal, private non-profit organizations governed by its own set of bylaws. As a congregation, we govern our dealings with each other through a Covenant of Right Relations. 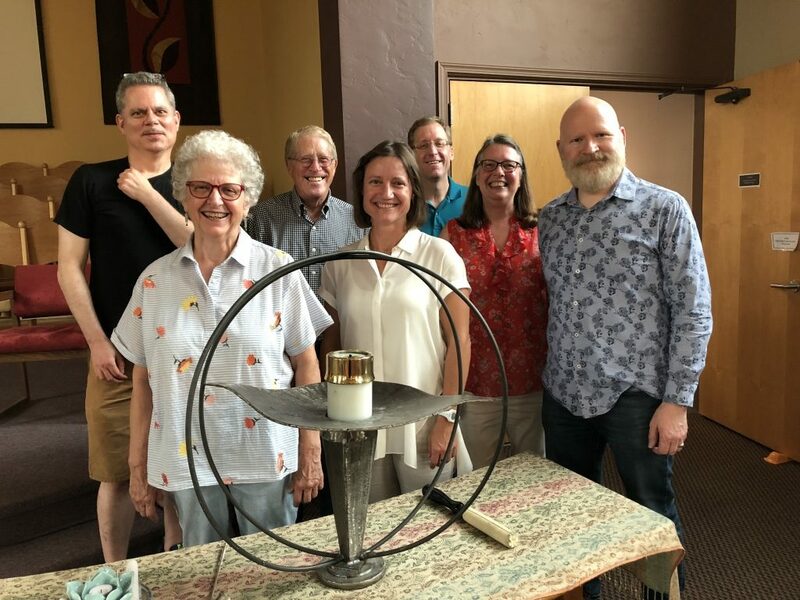 We voluntarily choose to be a member congregation of the Unitarian Universalist Association (UUA), which serves primarily as a resource to congregations and as a public voice for our principles. WSUU members elect a Board of Trustees to decide upon policy and to carry out the By-Laws. The Board also manages the implementation of the Congregation’ s Strategic Plan adopted on November 20, 2012. The congregation has an annual meeting in June to elect Trustees and other positions, and to adopt the annual budget. Occasionally, other congregational meetings are called for specific agendas. Board meetings are open to anyone who wishes to observe. To ask to be on the agenda, contact our President. Meetings are posted on the congregational calendar.